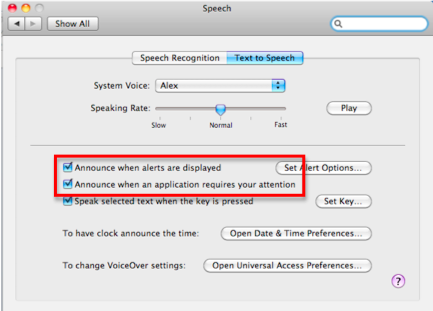 You can set up your computer to use spoken alerts when a popup window opens or when an application requires your attention. These two settings are helpful if you have limited peripheral vision that could cause you to miss alerts that open outside of your range of vision. 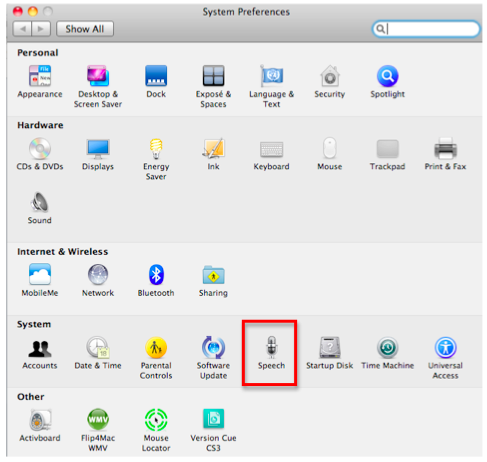 Choose Apple, System Preferences, Speech. 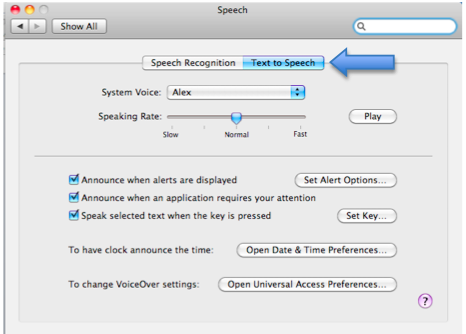 Select the Text to Speech pane. 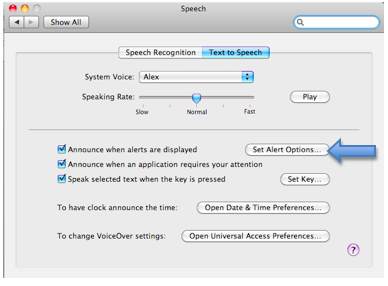 Select a Voice using the Voice pull down menu, and the phrase the phrase the computer will speak at the beginning of an alert from the Phrase menu, then use the slider to choose the Delay before the alert starts. Click on Play to preview your settings. 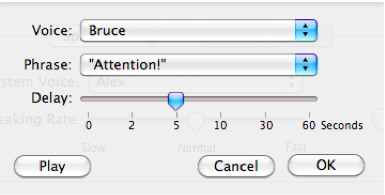 When you?re happy with your settings, click on OK.